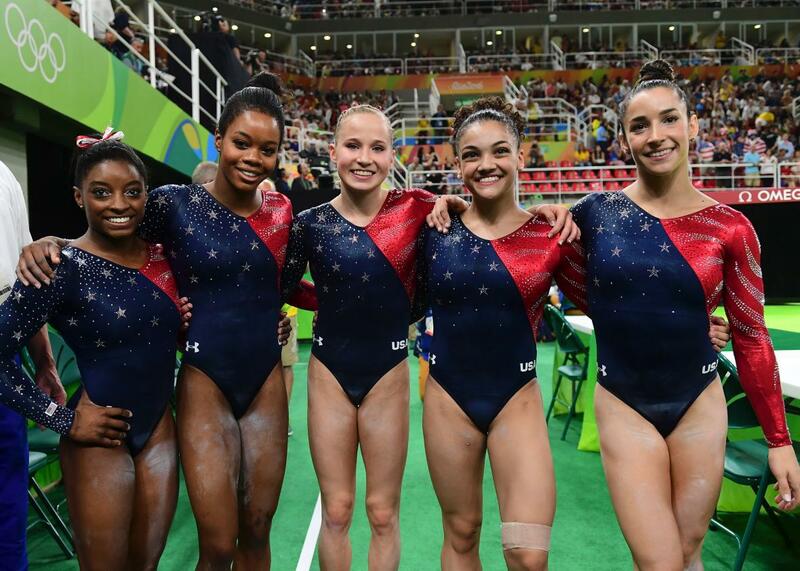 The U.S. women's gymnastics team's first 2016 Olympics leotard, reviewed. Olympics Leotard Watch: It Is Sparkly and Looks Like a Flag. But Can It Stick the Landing? American gymnasts Simone Biles, Gabrielle Douglas, Madison Kocian, Lauren Hernandez, and Alexandra Raisman on Aug. 7, 2016. How about those leotards? 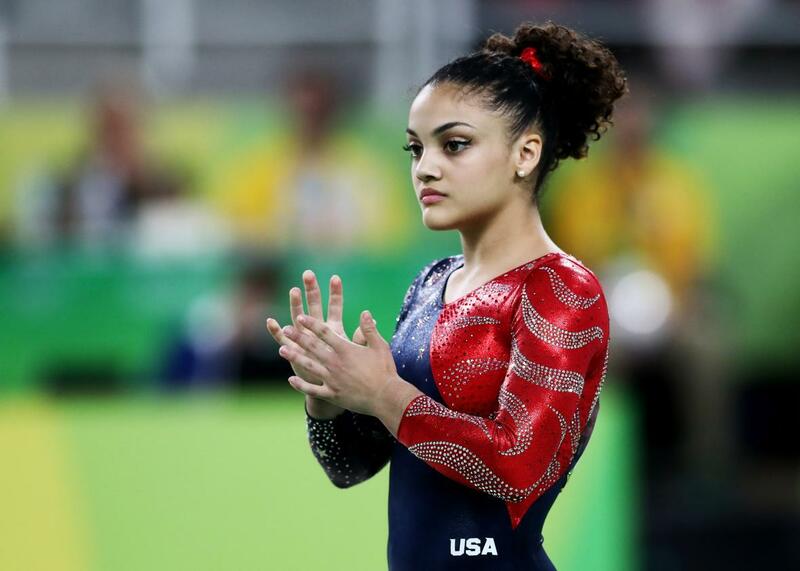 Spry American sweethearts Simone Biles, Gabby Douglas, Aly Raisman, Laurie Hernandez, and Madison Kocian took the Olympic stage for the first time on Sunday, competing for spots in the team, all-around, and individual event gymnastics finals. The American women sported uniforms by GK Elite and Under Armour, the two-headed, leotard-producing hydra that’s outfitting the U.S. men’s and women’s gymnastics squads in Rio. While the Olympic judges evaluate gymnasts’ grace and power, we’ll also be following the soaring victories and heartbreaking disappointments of their spandex ensembles. How did American Olympic Leotard No. 1—a navy-and-red affair sprinkled with sparkly stars and stripes—fare on the mat? The rules of Olympics Leotard Watch are as follows. Each leotard will be ranked on the five accepted dimensions of leotard personality: functionality, whimsy, majesty, patriotism, and spangliness. A leotard can earn at most two points in each category, for a maximum possible score of 10 points. See, the perfect 10 isn’t entirely dead! 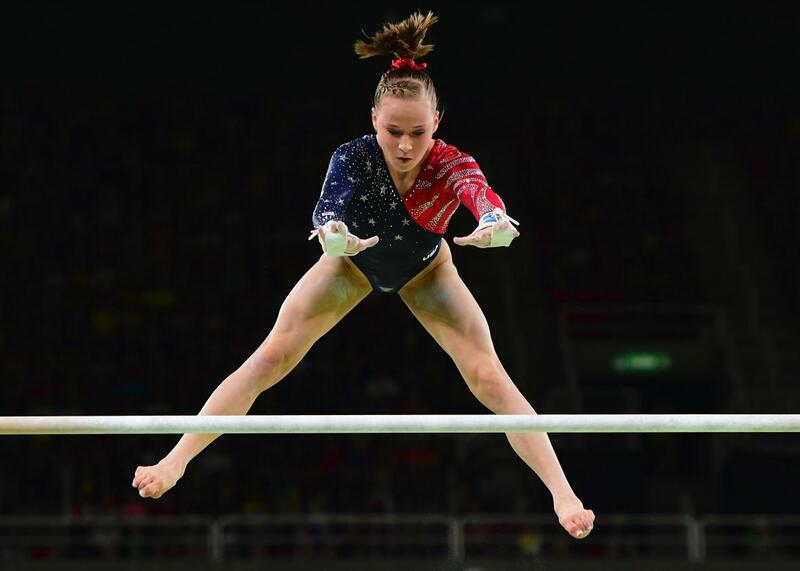 U.S. gymnast Madison Kocian competes in the qualifying for the women’s uneven bars during the 2016 Olympic Games in Rio de Janeiro on Aug. 7, 2016. 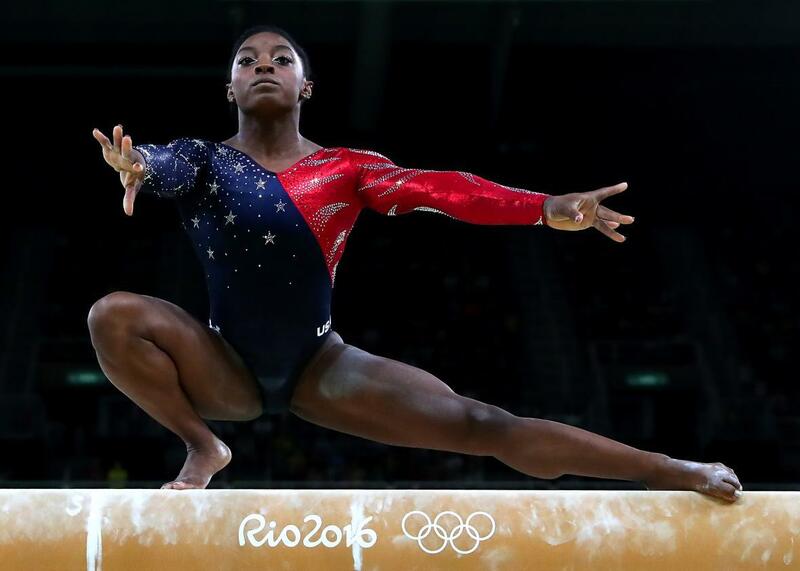 Simone Biles of the United States competes on the balance beam at the 2016 Olympic Games on Aug. 7, 2016. Lauren Hernandez of the United States prepares to compete on the floor during women’s qualification on Aug. 7, 2016. U.S. gymnast Gabrielle Douglas prepares to compete in the qualifying for the women’s beam event at the 2016 Olympic Games in Rio de Janeiro on Aug. 7, 2016. Patriotism: This is a red-blooded American leotard, shimmering with the country’s signature colors and symbols. You’re a grand old flag, you’re a high-flying flag, and forever in peace may you do gymnastics-related things. 2/2. Alexandra Raisman of the United States competes on the uneven bars during women’s qualification at the 2016 Olympic Games on Aug. 7, 2016. Spangliness: “We may have hit peak crystal,” an executive vice president at GK Elite told the New York Times last week in a piece headlined “The Bedazzling of the American Gymnast.” As gymnasts try to stand out in giant arenas and accent the artistic facets of their sport, they are demanding more and more sparkle, setting off a “crystal arms race” that may destroy us all and/or bury the Southern Hemisphere in featherweight rhinestones. This leotard isn’t an indication that SALT I (Sparkle Arms Leotard Tamping) is on the horizon, but it does feature a few spangle-free inches. No perfect score here until the entirety of Aly Raisman’s body is encrusted in crystal, like a Russian oligarch’s Mercedes. 1.45/2. Final score: 6.97/10. 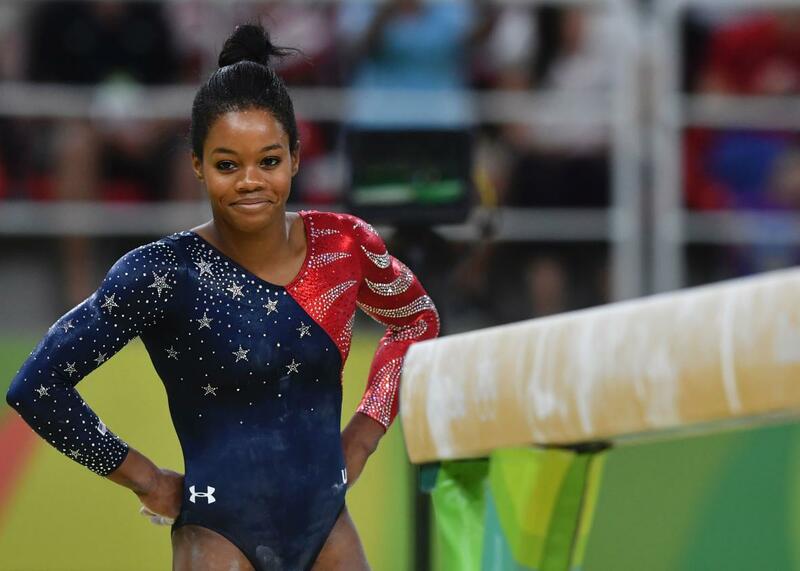 A respectable effort, but this is Olympics Leotard Watch, not High-School Junior Varsity Leotard Watch. We’ll be looking for improvement from Leotard No. 2. Read more of Slate’s Olympics coverage.